Discover Boating announces its selection of OLSON as agency of record for the relaunch of the national consumer marketing campaign for the recreational boating industry in U.S. and Canada. It’s OLSON’s first major new business win since acquiring OLSONdenali in June. The agency will handle a mix of traditional and non-traditional marketing— including digital and response-oriented marketing. The agency was selected by a special task force comprised of industry representatives from the National Marine Manufacturers Association (NMMA), Marine Retailers Association of America (MRAA) and Sail America. Jones Lundin Beals conducted the national search. Discover Boating promotes the boating lifestyle to key target audiences throughout the year. The program was built on the foundation that boating helps you connect with the people you care about and disconnect from stresses on land. Discover Boating is a national awareness campaign developed by the recreational boating industry in the U.S. and Canada and managed by the industry’s trade group, the National Marine Manufacturers Association. Discover Boating programs focus on improving the boating experience and building interest in recreational boating by providing a resource for Americans to explore the benefits, affordability and accessibility of the boating lifestyle. To find out more, visit DiscoverBoating.com. Risdall McKinney Public Relations (RMPR) today announced that Amanda Draxton and Laura Griffith each have been promoted to senior account executive. “Over the past several years, Amanda and Laura have gained experience, confidence and expertise at managing and implementing integrated PR programs with kudos from coworkers and clients alike,” said Rose McKinney, APR, president of Risdall McKinney Public Relations. Since joining RMPR in May 2007, Draxton has worked on a variety of consumer and business-to-business accounts, including Premier Mounts, Solid Waste Management Coordinating Board, Archway, Twin Cities Originals, Mall of America and many more. In addition, she coordinated RMPR’s updated website and has been a point person for agency media relations. Draxton also has provided pro bono efforts for the Ramsey County Library and Rotary Club. She is the incoming co-chair of the PRSA Minnesota Classics awards committee. Griffith, who joined RMPR full time in May 2008 after serving as an intern at the agency, has played a key role on Smith System, Hearing Components, GoGirl and several other accounts. In addition, she has provided pro bono work for Baby Angels Foundation, coordinated the agency’s numerous PR award submissions and contributed to several integrated new business pitches. Griffith currently serves on the PRSA Minnesota programming committee. Draxton received a bachelor’s degree in public relations from the University of St. Thomas. Griffith graduated from the University of Minnesota with two bachelor’s degrees – one in strategic communications and another in communication studies. Kathy Jalivay, respected Twin Cities marketing & public relations executive, brings her expertise to online marketing agency-thought leader, aimClear. Jalivay joins the Duluth-based agency to head a new Twin Cities office and serve aimClear's burgeoning roster of international B2B and B2C clients. aimClear, an internationally recognized online marketing agency with its corporate office in Duluth, Minnesota, has Named Kathy Jalivay as director. Jalivay will report directly to aimClear founder and president, Marty Weintraub. With the addition of Jalivay, aimClear plans to open a new Twin Cities office. Jalivay has over 24 years of marketing experience and a proven track record in strategically defining and implementing opportunities which lead to brand-success. She has a talent for creating synergy between campaign elements, the team and her clients which leads to effective execution. Jalivay continued onto say that, aimClear has serious passion and already provides best-in-class SEO, Pay Per Click, PR, reputation management and social media services and that the company brings keen insight, unmatched strategic wit and tactical perspective to elevate client-brands. "Kathy Jalivay is a consummate public relations and marketing professional, street wise, savvy and beloved by her clients. She adds a new dimension to aimClear's rapidly expanding team of specialized online marketers," said Marty Weintraub. Jalivay joins aimClear from LaBreche, a Twin Cities-based, public relations and marketing communications firm. As a director at LaBreche she was responsible for working with clients on their strategic marketing communications plans and insuring successful implementation across all disciplines. Caroline Landree, formerly an Account Executive with Edelman Public Relations in Chicago, has joined Minneapolis-based Maccabee Group Public Relations as its new Account Executive. Landree brings to Maccabee Group clients her experience working at Edelman on Pfizer’s Prevnar and Prevnar 13 and AstraZeneca’s Symbicort products, along with healthcare client PassportMD. Prior to working at Edelman, Landree was a PR intern with the Chicago office of Weber Shandwick Worldwide and the St. Louis, Missouri-based PR agency The Hauser Group, where she worked on projects for the American Lung Association, St. Louis Regional Clean Air Partnership and Delta Dental of Missouri. Join us for this fun, free event to kick off our event year. Here’s your chance to meet new people and catch up with friends. You’ll also learn about what MWMC can do for you, and find out about exciting upcoming events, including Trish Santini at the Guthrie and Angela Chambliss from Best Buy’s WOLF program. We’ll also talk about membership, mentoring and more! FREE for members and non-members. Appetizers included; cash bar. Minnesota Women in Marketing Communications (MWMC) announces Renita Van Dusen of Affina to speak at the first Learning Lunch of the 2010-2011 programming season on Tuesday, September 21 at the University of St. Thomas (Minneapolis Campus). Whether you're confined by a tight budget or have a team of maxed resources, now is the time to engage yourself in efforts to improve next year's branding strategy. Through case studies and practical applications, learn three key insights from Van Dusen into creating a brand that resonates. You will discover not only how to engage the women in your audience but also how to find out who YOUR target audience is and HOW to reach them in your branding strategy – even on a small budget. Renita Van Dusen, founder and CEO of the strategic branding and design firm, Affina, is an expert and national speaker on marketing to women. LaBreche announced today that three new clients have joined its roster: PLATO Learning, Bioenergy, Inc. and Great Plains Telehealth Resource and Assistance Center (GPTRAC). LaBreche is providing PR services for PLATO Learning based in Bloomington. PLATO Learning is a leading provider of education technology solutions for kindergarten through adult learners, offering curricula for reading, writing, mathematics, science, social studies and life and job skills. PLATO Learning’s innovative curriculum and interactive instruction solutions help educators effectively integrate the traditional and virtual learning environment. The company’s research-based model of student achievement and industry-leading professional services support continuous school improvement and help to ensure that all learners achieve academic success. The company has been at the forefront of educational technology for almost 50 years. Also, LaBreche is coordinating PR initiatives for Bioenergy, Inc. based in Minneapolis. Bioenergy, Inc. is an integrated biotechnology company developing products that restore energy and improve the body’s response to metabolic stress using ribose. Ribose helps to regenerate energy when tissues are stressed, such as in cardiovascular diseases, or for healthy people, provides needed energy reflected in less fatigue and greater exercise performance and recovery. Bioenergy, Inc. develops and commercializes various ribose-based products from nutraceuticals to medical foods to pharmaceuticals. The company’s pharmaceutical division centers on the use of ribose in chronic diseases, such as heart disease, and its cutting-edge cell technology solutions are designed to improve transfusable blood products. In addition, Great Plains Telehealth Resource and Assistance Center (GPTRAC) signed on for an awareness campaign with LaBreche. GPTRAC is housed at the University of Minnesota in the Institute for Health Informatics. The center is supported by a grant from the federal Office for the Advancement of Telehealth, Health Resources Services Administration and the Department of Health and Human Services. GPTRAC assists both rural and urban health care facilities, providers and organizations within Minnesota, Iowa, Michigan, Nebraska, North Dakota and South Dakota in order to better utilize and implement telehealth technology. GPTRAC is a resource for those looking to develop telehealth applications, projects and programs within their health care organizations. Is your organization using Facebook, LinkedIn, Twitter and other social media sites to its advantage? On Thursday, September 16, 2010, the Minnesota chapter of the Business Marketing Association (BMA-Minnesota) will explore how B2B companies can manage their social relationships by employing Social CRM and how Social CRM can create a unique opportunity for businesses to engage, differentiate, innovate, and grow. The session will be led by Eric Scheel, co-founder and CTO of Reside. Scheel has years of experience in strategic design and implementation and is a nationally-renowned expert on building and integrating applications on the Force.com platform. The biggest and arguably, the most energetic and well-known conference in the interactive marketing industry, South by Southwest Interactive, brings together more than 10,000 like-minded professionals to Austin, Texas for five days for the opportunity to share ideas, experiences, and yes ... a good time. While opening day of the 2011 conference isn't until March 11, preparations to fill the programming slate are well underway. Last week, the SXSW PanelPicker went live. This online voting system gives the public a chance to vote "thumbs up" or "thumbs down" to the more than 2,300 proposals being considered. The voting round is the second round of the process, and accounts for 30% of the decision to accept a proposal (40% is by the advisory boards in the first round, and the remaining 30% is determined by SXSW in the final round). 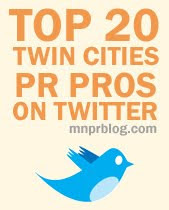 What does all of this have to do with PR professionals in Minnesota, you ask? First, whether you are attending, or are even aware of the South by Southwest Interactive conference, it's important for PR pros to keep their perspectives broad, and be aware of the trends being presented at conferences such as these. Second, voting is open to EVERYONE. You don't need to be a past or future attendee, or even an "interactive" professional. You just need to have an opinion and be willing to share it. Last, but definitely not least, there are some whip-smart folks from right here in your community who are vying for a presentation slot, and they could really use your support. Are you ready to help get some Minnesotans on the bill of this internationally renowned conference? Note - In order to prevent fraudulent voting, you do need to create an account. It doesn't take long or require a lot of info, and you won't be placed on any mailing lists. "Case for a Caregiver Centric Personal Health Record"
"Challenges of SOA with a Legacy Brand (Best Buy)"
(post update, 8/20/2010) "Creative Alternatives: What if we Reinvented Healthcare Today?" "Finding Your Brand's "Social" Voice"
(post update 8/26/2010): "Healthy Privacy: Can Health Insurance Companies Be Social?" (post update 8/20/2010) "Human Centered Journalism: Changing news with Design Thinking"
"Human API - The Evolution of Best Buy's Twelpforce"
"Not My Job: The Ultimate Content Strategy Smackdown"
(post update, 8/20/2010) "RDFa, Microdata, Microformats: Gateway Drugs to Semantic Web"
"The State of Music Blogs in 2011"
(post update, 8/23/2010) "The Value of Personal Health Social Networks"
"Why Did They Do That? UX + Analytics"
Voting closes at 11:59 p.m. on August 27 - so, be sure to cast your votes before then. What other suggestions do you have? Please feel free to add to this list in the comments. Kary Delaria is Vice President of Kane Consulting, a social media marketing and PR agency specializing in social media analysis, strategy, integration and measurement. You can contact her via email, Kary@KaneConsulting.biz or @KaryD on Twitter. Louise Dengerud was just promoted a little more than a year ago from associate account director to account director at OLSON. Now she has been elevated again, to group account director, in recognition of her showstopping efforts and innovative strategy for key clients, including Target. She has been at the agency for more than four years. 1. Tell me about the jobs that you held while at the University of Minnesota. Before this, I was a local titleholder with the Miss America Organization. This opportunity was instrumental in developing me not only as a strategic communicator, but also as a young woman of character. I created and executed a campaign advocating for character education in high school students, travelling over 25,000 miles on a public speaking tour. With this position, I gained experience in media relations, community relations, and event planning. 2. Which accomplishment in your professional career are you most proud of and why? My highest measurable accomplishment occurred during my time with StudyBlue, when I recruited over 2,500 students to join the network within 8 months while managing a 20-credit schedule. This busy schedule gave me the perfect opportunity to strengthen my abilities to problem solve, think creatively, and take initiative. Being the first and only representative on campus also taught me the value of a can-do attitude and pioneering spirit. It also made me hungry for collaboration. 3. How did your education from the University of Minnesota prepare you for a public relations career? thinkers in the industry. Many of my professors bring in professionals to speak industry wisdom to the class. I must say, my most prized lessons have come from mentor relationships I've cultivated using the resources of my professors. Because of these connections, my U of M education has not only prepared me for a great public relations career, but also set it into action. Thank you for asking! I've enjoyed digging into the Twin Cities business community--there's so many great people who have helped me understand its intricacies along the way. LeeAnn Rasachak (@UptownGirlMpls), Arik Hanson (@arikhanson), Allison Janney (@allisonjanney), and Katie Schutrop (@kshoop), to name a few. Publicly, I thank you all for answering my questions and appealing to my curiosity. found your all-star intern that comes with zero fine print. Beyond college, I'm looking to start with an agency/company that values honesty, service, and strategic development. I believe these three values hold power to recruit the best teams and attract the best clients. I want to be a part of a company that casts big vision and creates meaningful culture. With a cherry on top: Fast-paced, collaborative, creative, related to food and/or nutrition, driven and passionate culture. Tweet @sarahjander to suggest a company that fits these criterion! 6. What advice do you have for fellow job seekers? 20-somethings like top-5 lists, so here we go. 1. Get a professional mentor. I know we younglings like to think we know everything, but we don't. We need to learn from those ahead of us professionally. Develop your strengths. Take the StrengthsFinder test! (www.strengthsfinder.com). If you know your strengths, you'll be able to develop and market yourself with clarity. You need to know yourself before you can. Read blogs, news-sites, do your research. This three-part piece of advice is jam-packed with work. It's worth it! Check out what your potential employers are writing about, and become an expert in those areas. Research companies and agencies to figure out what you want. Blog. Establish your writing online so you have a nice, plump record of your work when you need to reference it to someone. Popular Front, a Minneapolis based interactive agency, has been enlisted to lead both national marketing strategy and technical product development efforts for Chinese Cubes. The Taipei based company has developed a language learning tool which features components of augmented reality and real-time computer aided feedback. The product is scheduled to be launched in the U.S. in early 2011. Job - Evans Larson Communication is looking for a fall intern! In this, the second of two parts of our interview with Jim Lukaszewski, he discusses his books, advice to practitioners and his take on the role of PR in society. 1. Of the dozen or so books you've written, which is the most important? Why? In 1992, I published a book (just 44 pages) called Influencing Public Attitudes: Strategies to Reduce the Media's Power. The concepts were about communicating directly to those whose lives and circumstances we affected, changed, or were damaged rather than through the news media. While that book never used the word "victims," I was essentially saying that what matters most, what is ethically required first, is to deal with the victims we create or whose lives we are going to change. Today, with the Web and new media, you might read this book and say, "So, what's new?" My insight was less about the future and more about how to honorably and effectively manage present problems directly rather than through the news media. It was a novel idea at the time. Even with today's incredibly helpful technologies, we're still learning how to communicate directly, effectively. The book, now out of print, originally sold for $14.95. You can occasionally find a copy on eBay for $75 or for $54 on Amazon. I'm not sure exactly what that means except that neither the publisher nor I are getting any royalties. 2. Your latest book, Why Should The Boss Listen To You? The Seven Disciplines of the Trusted Strategic Advisor (Jossey-Bass, 2008), is a business book rather than a communications book. Why did you write it? What did you hope to accomplish? Yes, it is a business book, but it is actually all about communication -- the personal communication, strategies and philosophies of the strategic advisor and those they advise. The publisher originally wanted me to make it a leadership book, but I was more interested in helping those who want to be near and helpful to leaders rather than be leaders themselves. The reason is very practical. There are 10, 100, maybe 1,000 times the number of advisors as there are CEOs and practicing leaders. Also, there is very little written about the job of the number two person, or the significant advisor. One of the more unusual aspects of my practice has been the opportunity to observe advisors and practitioners from all staff, external and operational functions, and analyze the work of these individuals for my clients. Like most things in life, successful advisors exhibit patterns of behavior, thinking and action that, if noticed, explored and explained, can be used to help and teach others. This book is an example of what I've been doing and continue to do throughout my professional life. I am an observer, a teacher, a coach and an ethical and ideological compass for those leaders who need or want to explore these things. 3. Your website, www.e911.com, contains a huge amount of crisis management information that you both sell and give away. Is that how you market yourself? The website came about because our two sons, Chuck and James, from the time they were teenagers, were really into anything to do with computers and especially the emerging phenomenon of the World Wide Web. Our site went up in 1997, and we wanted to use the URL 911.com. At that time, completely numeric URLs were prohibited. That's why it's e911.com. The "e" is for emergency. As they were building our site, Chuck and Jim were inventing eWatch, the first Internet monitoring service. They later sold that company, and it is still operating. The purpose of e911 has always been to make my writings, publications and other content available to the widest possible audiences. The site has a second URL, www.crisismanagementuniversity.com. It's only in recent years that the cost of maintaining a website has forced us to monetize much of the content. However, a visitor can generally download a copy of anything for free, so long as it is for personal use. Even today, if a college professor calls and wants to use an item of mine in class and it is available on our website, we suggest that each student download a single personal copy. My philosophy is that if what I do is truly valuable, it won't do anyone any good if it sits on a disk somewhere, on a shelf, in my computer, or just in my brain. 4. What advice would you give to the new practitioner, even the mid-career practitioner about enhancing their professional lives? First, go into government if you can, even if it's just a couple years, wherever you can find a spot. Through a fortuitous accident, great good luck and Metro State, I got an internship in the office of former Gov. 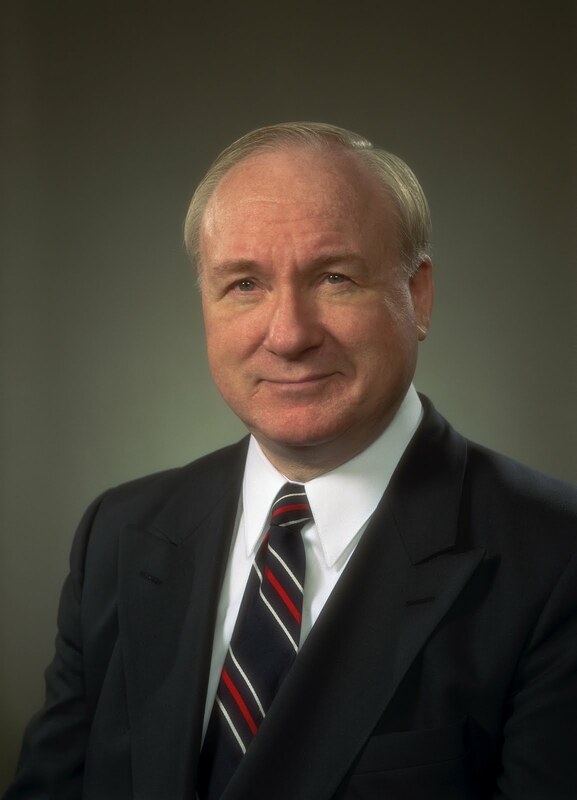 Wendell R. Anderson (D-Minn.) as a part-time deputy press secretary. I was 31 at the time and, therefore, one of the oldest interns around. I was, in fact, called "the old guy." It was priceless experience. Government in America, at any level, is a miracle and a marvel you really want to understand from the inside out. Some of the greatest lessons about advising other people, resolving contentious situations and dealing effectively with leaders and high ego personalities came from my few years in government service. America is a commercial democracy rather than a government-driven society. Knowing how government works, at whatever level, can be extremely valuable as a professional credential. Second, be curious, a lifelong learner, a good question asker and assumption challenger. Most mistakes and bad decisions happen because people who know better look the other way, and fail to challenge or question what are, in hindsight, often really stupid decisions. And recognize that the moment you hear the words "Do whatever it takes," you can reliably forecast that someone will be doing something unethical, illegal, or at best unnecessary, sometimes criminal, at the expense of others. Third, develop a personal code of honor. Write it down, think and talk it through, then live by it. Benjamin Franklin had his 13 virtues: temperance, silence, order, resolution, frugality, industry, sincerity, justice, moderation, cleanliness, tranquility, chastity...then later, after being accused of arrogance, he added #13: humility. Thirteen is a lot. There were only 10 Commandments. Start with a handful and build out from there. Live up to them, with them, and through them every day. Most successful advisors and consultants have something like this that they can talk about. They worked hard to define themselves so they can help others define themselves. 5. What is the most frequent question you're asked to respond to by practitioners? That question is, "Will I have to bide my time, and look like you (I'm 68 this month), to gain access to the C-suite and have the influence you appear to have?" Early in my New York experience, I wound up working on Wall Street for a couple years. I was 44 at the time. The first thing you realize about Wall Street is that while the fat cats get in the headlines because of their big bonuses and arrogant behavior, the place is actually run by people well under the age of 30. They are far less visible "fat kittens" and as arrogant as their seniors. These are very smart people and what really matters is what comes out of their mouths, based on what they know rather than their age, gender, or emotional intensity. I haven't been on Wall Street daily for many years, but I can tell you reliably that the access, influence and acceptance of advice, counsel and ideas from these very smart young people holds true today. It holds true in public relations, too. 6. What should PR be doing to enhance its relevance, importance and influence in our society? First, in this age of new media, dying media, and new media behaviors, public relations should take a very powerful monitoring role of all that media does. While our country owes much of its success to maintaining and protecting a robust and free news media, the explosive access to communication platforms by so many, so easily has changed the rules. The public should have the benefit of informed independent commentary, analysis, and assessment of journalistic processes, practices and behaviors. The serious decline in public respect and confidence for traditional journalism can only be remedied, if that is even possible, with independent, highly trustworthy, direct and credible oversight. In an era where everyone is a journalist, one of the greatest services we can provide is some independent discussion, validation and constructive criticism. This is especially important since some of the most tangible and visible byproducts of new media are contention, confrontation, bullying and fabrication. Second, public relations needs to put media relations in the context of everything our profession provides and our clients expect. Media relations is a fraction of current public relations practice. We are still far too dominated by who reporters are and what they do every day. Yes, media relations matters, but as the ability to identify specific individuals as targets for messages and information, and the ability to actually deliver specific, highly targeted, very appropriate information directly, increases every day, the need to participate in broad brush, shotgun-like, inefficient, often seriously inaccurate information approaches declines. Third, America is experiencing a privacy crisis. If you doubt this, here is a recent comment from Google CEO Eric Schmidt in The Wall Street Journal: because of the information Google has collected about you, "We know roughly who you are, roughly what you care about, roughly who your friends are, and also generally where you are within a very few inches." The founding fathers made some interesting assumptions, perhaps, about each one of us having a zone of privacy, but just the opposite is occurring. In our Constitution, privacy is only explicitly guaranteed to criminals, or suspected criminals, through the Fifth Amendment. New media operatives, operating as journalists, rip away the assumed privacy for anyone they target. The agitation for digital health records storage, the insatiable appetite for data by global aggregators, and the attempt to profile every one of us as individual market targets for sales to strangers for everyone's benefit but our own, needs powerful controls, restrictions and oversight. It may be a pipe dream, but America needs a simple, sensible, constructive, individual privacy strategy built into our Constitution. One crucial, potential force in our society that's capable of thinking this through and advocating a doable rational approach are the professionals who do the communicating every day. Privacy is a human right. We should be able to control much of our own destiny, and have the affirmative option of giving or sharing, rather than being hapless, helpless victims of anyone who can access the Web, public and private records, or who can, without any controls or oversight, expropriate our privacy, and therefore, our individual independence. This rush to expose and share has become so stupid that an advocate of this mindless collection of information on each of us is now recommending that everyone place to change their names around the age of 18 to separate themselves from anything that might be on the Web or available in databases prior to that time, and do that time and again as one's life progresses. If only the founding fathers had expanded our national aspirations by a single concept, then it would have been life, liberty, privacy, and the pursuit of happiness. Our lives would be very different. When a crisis comes calling, people call Jim Lukaszewski. His name has appeared in Corporate Legal Times as one of "28 Experts to Call When All Hell Breaks Loose," and in PR Week as one of 22 "crunch-time counselors who should be on the speed dial in a crisis." Lukaszewski's practice is in New York; since he is originally from Minnesota, we took some time to catch up with him. This is the first of two parts. 1. How did you get or make the chance to go to New York? It was really a fortunate accident. For some years, Chester Burger, a public relations and management communication specialist and consultant, was our business advisor. His firm was based in New York City on Madison Avenue. In early 1986, we were at a crossroads in our existing business, and it became clear that we would be making a change. Chet Burger called and asked if I was interested in coming to New York and working for his firm. My wife and partner, Barbara, was on an extension phone a short distance away. I looked at her, she gave a thumbs up, and the rest, as they say, is history. 2. What are some of the differences between practicing PR from the Twin Cities and from New York? The fundamentals of practicing public relations are pretty uniform all across America. Americans invented public relations, after all. Perhaps the biggest difference is the mindboggling number of firms. Even in New York, most firms practice locally, which is called BosNeyWa -- the Boston, New York, Washington, D.C. corridor. There are also significant numbers of firms who have national and international clients. It's probably pretty analogous to Minneapolis-St. Paul, which is also a national center for communications expertise; the difference is primarily in scale. 3. You graduated from Robbinsdale High School in 1960, then got your bachelor's degree from Minnesota Metropolitan University in 1974 after having attended Macalester College, some night school and the University of Minnesota. What took you so long? I was a college student who spent many years majoring in self-discovery. My father paid for my freshman year at Macalester, and after that I worked my way through. I finally graduated when they invented Metropolitan State University, a school for people just like me -- adults with lots of credits and valuable life experience, looking for a place to bring it all together. There are two reasons why I am where I am: Barbara and Metropolitan State University. The school began as a state college in 1971; I signed up in 1972 and graduated in 1974 as one of the first 100 graduates of the institution. The university has been and remains a part of my life. 4. How did you decide to go into PR after studying chemistry, physics, liberal arts and pharmacy? I entered college in 1960, three years after the Russians launched the first Earth satellite (Sputnik). As a nation, we rose up to meet the challenge that this international American embarrassment represented. My guess is that during that time, the highest registrations of science and engineering students as a percentage of college enrollments was reached. I was carried along by the enthusiasm. However, the word calculus kept coming up, and I've never been able to reliably add, subtract, multiply and divide (Barbara can). My future needed to be from some other place. 5. Most of your PR career has been devoted to crisis communications, situations you describe as tough, touchy and highly sensitive, involving contention, anti-corporate activism, victims and other angry people. How do you handle the stress? There is very little stress in my work. It's clients who experience extraordinary stress, fear and concern, often with very good reason. It has been their misjudgments, mistakes and often failure to decisively prevent, detect and deter bad behaviors, decisions and actions that bring them to me. The nature of my practice is such that I am usually called in when the client has tried almost everything possible to avoid doing what they know they should be doing or those they rely on for advice just don't have the necessary experience. In some cases, I arrive on the scene about the same time, or just before, the government or the police. 6. What is the toughest, touchiest, most sensitive case you ever worked on? First of all, I believe that I have yet to see or do the toughest, touchiest, most sensitive case of my career. My client list has always been confidential, but most of my clients are very large corporations and organizations, often international in character and scope. Although I'm not an attorney, I have a very robust litigation visibility management practice including civil, criminal, class action and bankruptcy. Almost all of my clients are under attack by their victims, offended or harmed organizations, institutions, special interests and activists. Contentiousness, anti-corporate activism, community opposition and confrontation are almost always a part of the mix. On my website, www.e911.com, there's a category called "Examples of Recent Projects," which lists (by practice area) several hundred types of problems I've been involved in over the years. Stay tuned for part two of our interview with Lukaszewski later this week. Washburn Center for Children, a leading provider of mental health services for children and families in the Twin Cities, recently selected Haberman as its agency of record. Haberman was chosen for the three-year contract as part of a Request for Proposal process begun in May 2010. Washburn Center for Children, founded in 1883, provides mental health services to children and families throughout the Twin Cities, including assessment, individual and family therapy, preschool and early childhood outreach, and intensive classroom and home-based services. In order to maintain and expand the services the organization provides, Haberman will create and execute a strategic, integrated media and marketing campaign to increase awareness and garner widespread community support. “Our entire team was blown away by what Washburn Center for Children does to help area children and families,” said Haberman CEO and co-founder Fred Haberman. “We are incredibly honored to be a partner with Washburn, and we sign on to this project with a sincere sense of duty towards ensuring the organization reaches its goals." In a move that accelerates its digitally centric future, Campbell Mithun announced plans to unite with the Minneapolis office of MRM Worldwide, the leading digital agency in the Twin Cities. The deal brings CEO Steve Wehrenberg additional assets for implementing his plan to optimize Campbell Mithun’s digital competence agency-wide and places MRM’s cutting-edge technology capabilities within deeper brand-building expertise. The new organization will retain the Campbell Mithun name as well as its Compass Point Media unit. As Campbell Mithun’s new president, Rachael Marret, a 15-year digital veteran, will oversee the integration of digital sensibilities throughout all aspects of the combined agency. MRM executives will play key leadership roles in bringing best-in-class expertise to Campbell Mithun’s existing digital capabilities. Lynn Cerra and Sean O’Brien will join the leadership team as director of integrated operations and director of technology and innovation, respectively. The merger will deepen the combined agency’s ability to provide digital business strategy; user-experience planning; digital connections planning; systems architecture; mobile, game and other application development; agile development; social marketing and platforms; SEM/SEO; one-to-one digital communications; and performance analytics and optimization. Several factors will ease this transition for the two organizations. Campbell Mithun and MRM are both owned by parent company IPG, and the sister agencies have worked together for 10+ years to serve a number of clients including General Mills, National City, H&R Block and Supervalu. “The merger is effective immediately, but our existing relationship and proximity gives us more time and flexibility to work out transition details and configure operations,” said Wehrenberg. Read the Minneapolis Star Tribune story here. Read the Business Journals story here. Join us at Kieran’s Irish Pub, and bring your friends who may be interested in joining Ad Fed or Ad2, or those who are looking to renew existing memberships. It will be a night of Irish spirit, revelry and camaraderie: complete with food, drinks, music and give-a-ways. This is a chance to take a peek into the world of Ad Fed and Ad2 and to hear what lies ahead in 2010/11. All are welcome so bring your friends – members and non-members alike. Emily Stofferahn today joins the GdB team as public relations intern. While at GdB, Stofferahn will assist in building media lists, writing press materials and pitches, and supporting digital communications strategies for GdB’s growing roster of clients. Stofferahn graduated from Northwestern College in May with a degree in public relations. Previously, she’s held internships with the Minnesota Twins, Clear Channel Communications, and Bridge Builders for Kids. While at Northwestern, she participated in the school’s student chapter of IABC, serving as the vice president of membership. She has also worked on acquiring a chapter of PRSSA for Northwestern she hopes will be in place for students this school year. As a Minneapolis native, Stofferahn is an avid Twins fan. She enjoys exploring the Twin Cities, her favorite spots being the Science Museum, Minneapolis Farmers Market, and Stone Arch Bridge. A self-proclaimed “wannabe foodie,” she lives vicariously through the lives of Top Chef contestants. The Minnesota Vikings have just launched a new integrated marketing campaign to celebrate their “50 Seasons of Greatness”. 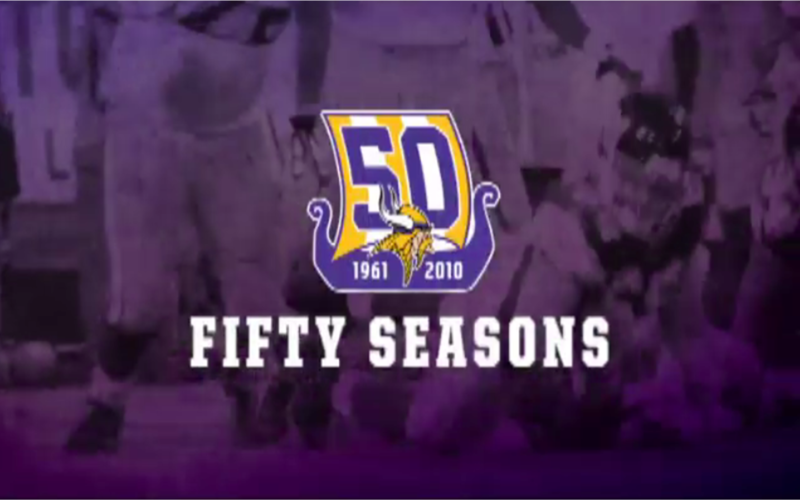 The campaign features a series of TV and radio spots that use genuine in-game footage from the last fifty seasons to showcase great moments in Vikings history. 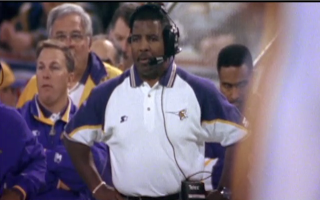 With the help of NFL Films, fifty seasons of great plays have been distilled down to multiple 30 second spots, with a single play spanning the years featured in each ad. The Vikings rallying cry “Show your horns” which was introduced with last year’s brand campaign, ends each spot to drive ticket sales and home game attendance. The campaign also includes spectacular out-of-home creative and installations building on the “50 Seasons of...” theme. The campaign launched this week with TV and radio and additional ambient media will begin to appear in August and September. Boston Scientific Cardiology, Rhythm, and Vascular (CRV) announces that, after a national competitive review, it has chosen OLSON to handle design, strategy, creative and interactive work. "This is a great challenge and a big opportunity for OLSON and Boston Scientific,” says Kevin DiLorenzo, CEO and president, OLSON. "It’s not every day in our marketing world we can feel our work helps create awareness and education on life-saving devices and therapies. But at Boston Scientific CRV, everyone plays a solid part in just that — and that makes us know we’re part of something important too." Boston Scientific is a worldwide developer, manufacturer and marketer of medical devices whose products are used in a broad range of interventional medical specialties. Boston Scientific CRV is focused exclusively on the needs of cardiovascular specialists, offering the broadest portfolio of market-leading products and support to patients, physicians and health care systems. For more information, please visit: www.bostonscientific.com/crv. What keeps agricultural business communicators up at night? Rapidly changing media channels – especially ever-expanding social media – can provide a nightly reason for insomnia, according to a survey of agribusiness communications professionals. Fortunately, in what’s perhaps a comforting sleep aid, the survey also shows the communications industry is quickly adapting. Exponent PR surveyed 118 members of the American Agricultural Editors’ Association, Livestock Publications Council and American Business Media Agri-Council. As the number of communication channels increases each day and technology requires communicators to utilize more of them, journalists have more to do in less time. The survey shows nearly 90 percent of respondents’ organizations have added social media to their offerings. While nearly three-quarters (73 percent) of respondents say they work with social media on a professional level each day, about half (52 percent) of respondents reported feeling confident using it in their current positions. In the midst of the changing media landscape, respondents also worried about budgets (65 percent), competition for audiences (47 percent) and the impact of consolidation on the agriculture industry (35 percent). Multimedia technology skills are another concern for communications professionals as technology blurs the lines between the types of media. For example, about half (46 percent) of respondents reported using broadcast skills in traditionally print-only jobs. With increased responsibility comes less comfort. Only about half (51 percent) of respondents say new media has had a positive impact on their jobs, and similarly, only half say they believe new media gives communicators an advantage. Lindell and Petersen say the survey results are another reminder that job responsibilities in business-to-business communications, including the agricultural industry, have changed dramatically and will continue to change. Optimism for the future was reflected in respondents’ responses. Nearly three-quarters (73 percent) of the survey-takers, 26 percent of whom are under the age of 35, believe they’ll still be employed in the communications industry in the next five to 10 years, but 79 percent acknowledge that they’ll need many more skills in order to remain in their professions. WHY ARE COMMUNICATIONS PROFESSIONALS LOSING SLEEP? Ed Huerta has been named strategic recruiting director for Carmichael Lynch. In this role, Huerta is responsible for directing the development and implementation of programs designed to attract and retain top talent for Carmichael Lynch. Huerta previously served as vice president, director of project management and creative manager at Campbell Mithun in Minneapolis. While there, he implemented and oversaw project management and creative administration, and served as a recruiter for the creative department. Other previous roles have included serving as a partner, director of project management and creative services for J. Walter Thompson, project director for Leo Burnett, and creative recruiter for Manuela Guidi, all of which are located in Chicago, Ill.
Outside of work, Huerta serves as a committee member of the 4As Project Management Task Force, and as a board member of the Minneapolis/St. Paul Project Management Club. Huerta received his bachelor of arts in speech and performing arts from Northwestern University in Evanston, Ill.
Worldwide Partners Inc. (WPI), the world’s largest owner-operated network of advertising agencies and communications services companies, has elected Chuck Kelly , president of Minneapolis-based Preston Kelly, as its new chairman. In this two-year position, Kelly, succeeds Ian McAteer, managing director of The Union Advertising Agency in Edinburgh , Scotland . Prior to assuming the role of chairman, Kelly served as vice chairman of WPI from July 2008 until June 2010. As chairman of the 10-person WPI Board of Directors—which comprises advertising principals from WPI partner agencies around the world—Kelly will guide the strategic and financial direction of the network. With client billings in excess of $3.4 billion under management, WPI’s owner-operated network is made up of 92 advertising agencies that employ 4,500 people in 123 offices in 55 countries across Asia, Africa, Europe, Latin America, the Middle East and North America . Over the last three years, WPI partner agencies have won more than $100 million in collective new business. Kelly’s shop, Preston Kelly, has been a WPI partner agency for 13 years, buying its share in the network in 1997. With an estimated $60 million in billings, Preston Kelly’s clients include Roundy’s Supermarkets, Grand Casino, HealthPartners, Physicians Mutual, National Marrow Donor Program, the Minnesota Zoo and Mall of America. In July of this year, the agency won recognition as the Midwest Small Agency of the Year from Advertising Age, a stiff competition that celebrates the achievements of the nation’s smaller advertising shops. After scoring a Gold Effie in 2009 for its work on behalf of HealthPartners, the agency has also earned kudos from Communication Arts and finalist honors in competitions such as the MPA Kelly Awards, the One Show and the O’Toole Awards. “I’m looking forward to working with Chuck as we continue to evolve the network to anticipate clients’ needs,” said WPI President and CEO Al Moffatt. “Clients still need ideas and creativity from their agencies, but increasingly we are relied on to be experts in emerging technologies, as well as being a reliable resource in growth markets around the world. “Worldwide Partners has been adding great partner agencies around the world to meet those needs under Ian, and, under Chuck’s guidance, I expect that we will continue to do so,” he said. Tags: Advertising, Preston Kelly, Worldwide Partners Inc.
Northwestern Mutual has unveiled an integrated national television, print and online campaign highlighting the long-term value and flexibility of permanent life insurance. The campaign, titled “A Foundation for Life,” emphasizes the attributes of permanent life insurance that make it a unique asset for building value in a diversified portfolio. Created by Minneapolis-based OLSON, the TV will preview during the Senior US Open on NBC then will officially debut during the PGA Championship on TNT in August as part of the complete holistic campaign, alongside print and online. “A Foundation for Life” breaks from the traditional lifestyle-driven creative that dominates the life insurance space, and is brought to life with animation symbolizing the building of a strong foundation. The campaign is highly relevant, given current economic conditions, and highlights permanent life insurance as a recession-proof financial asset that does not fluctuate based on market volatility to reinforce the product’s long-term growth guarantees and flexibility. To see the complete campaign, visit http://www.ocointeractive.com/pressportal/080510/. The TV campaign will also run during the 2010-11 football season, including :60 second spots during college football games on network TV, :60 second spots on NBC during Notre Dame home games and on ABC during the conference championships. The TV spots will be supported with print ads in The Wall Street Journal and customized editorial gatefolds to run in Forbes Magazine’s ‘Largest Private Companies’ and ‘Investment Guide’ issues. The campaign also includes online and a new “Life Stories” application on Northwestern Mutual’s Facebook page that recounts policy owner stories through written and video content. The Minnesota Department of Transportation has issued the following RFP - http://www.dot.state.mn.us/consult/files/notices/notices.html. Responses are due by August 26, 2010 and questions should be submitted through the Web site. Haberman recently added two new positions to its team of Modern Storytellers: Copywriter and Marketing/New Business Manager. The agency, whose mission is to tell the stories of pioneers who are making a difference in the world, has experienced continued growth despite challenging times for agencies nationwide. 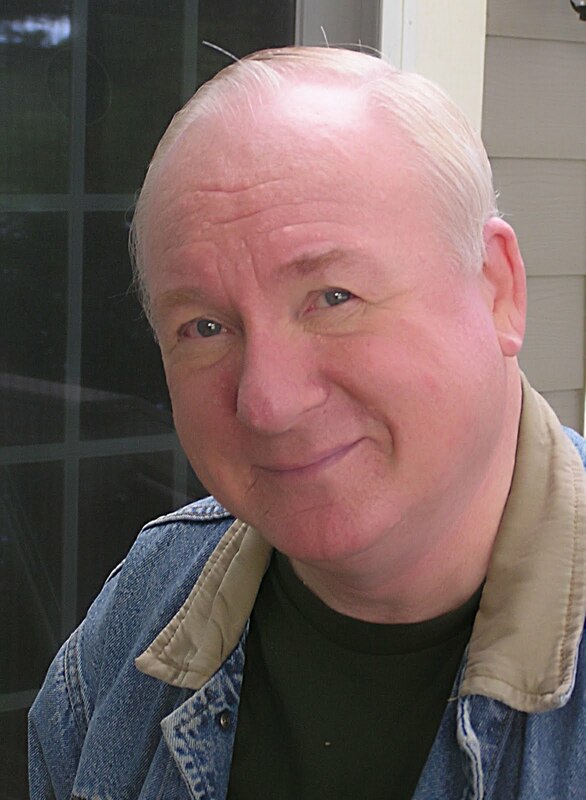 Tom Burket was hired as copywriter, serving the agency’s growing creative services department by developing creative copy and concepts for all forms of media. Tom has worked in strategic communications since 1991. He began his career at Kamstra Communications in St. Paul, where he learned creative and strategic thinking skills working mainly on business-to-business accounts. Later, as a freelance writer, Tom developed business-to-consumer skills by working directly with his own clients as well as for Twin Cities communications firms, including Haberman, Tripp Advertising, Foley Sackett and Gage. Past clients have included 3M, Imation, Ecolab, Harmon, Wausau Window & Wall Systems, Metropolitan State University, Northwest Airlines, Ceridian Employer Services and Abu Garcia. Julie Lunn was hired as marketing and new business manager. Julie has more than nine years experience in consumer public relations and marketing, including serving as a senior account manager and general manager at Boulder, Colo.-based Fresh Ideas Group, an agency specializing in natural, organic and gourmet food clients. Julie’s experience in the Lifestyles of Health and Sustainability (LOHAS) space extends to her MBA education, where she studied corporate social responsibility initiatives. Past clients have included Clif Bar & Co., New Hope Natural Media, Pharmaca Integrative Pharmacy, Lundberg Family Farms, QAI, Smucker Quality Beverages and Coleman Natural Meats. This is Part 1 of a two post series around augmented reality. This first post will be more of a generic overview, where Part 2 will be a more practical look at how this technology can be used in PR. In the digital space, we’re always looking at what the next trend is going to be. We’re paid to ensure we’re in the loop of “what’s hot” and how our company and/or clients can implement it into their business. 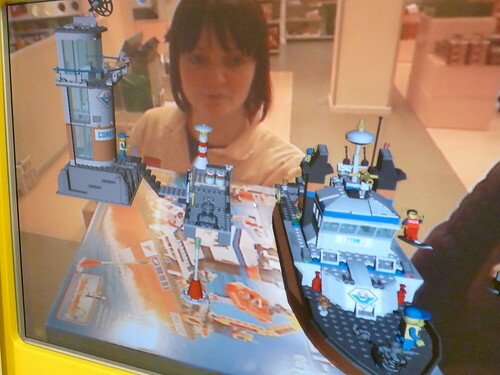 As such, for the past 12 months I’ve been completely fascinated with augmented reality (AR). In my opinion, and if I had to scale the level of opportunity, impact and importance, AR would be on the top of my list for trends-to-watch. Augmented Reality has been around for quite some time, with its roots dating back to the late 50s – the term “augment reality” was coined in 1992. While there have been a significant amount of uses of AR, the most well-known to the general public is the yellow “first down” line used in the National Football League. However, as the smart phone has continued to occupy more hands and more of our daily lives, AR has begun to get more attention. As a result, more companies and brands are beginning to explore AR and put more emphasis on its potential use. For the sake of trying to keep this article short, I’ll focus mostly on mobile use, but will touch briefly on examples of AR outside the mobile space. • Location overlay: Right now, the broadest and most basic use of AR is in terms of location. You can use Yelp’s AR app, for example, to find a nearby restaurant, hotel, hospital, shopping outlet, etc. ; and then get reviews and tips on Lonely Planet’s AR app. One of the most intriguing uses of AR comes in the potential collaboration with location-based services. Imagine the uses of an AR-LBS partnership for city and state departments. I’m imaging a protocol where data about everyone who visits a certain location is stored in the cloud and only accessible by local police departments. Say a store was robbed, a child gone missing, or someone assaulted. Your local police could simply point their phone at a designated location and see everyone who was at or near that location within a given time period. An interesting and useful way to cut down on crime and violence. As you can see, there are a lot of interesting uses of AR and a lot of opportunities as the technology continues to advance. Are there obstacles that need to be addressed before AR is mainstream? Absolutely. However, companies and brands have taken the first step. As research and innovation continues, I think we're going to see a major breakthrough in the AR space within the next 12 months. In Part 2, I'll share what I feel that breakthrough is, as well as the benefit of AR for PR professionals. Tags: Augmented Reality, Minnesota, Public Relations, Twin Cities, What is Next? Worden named to PRWeek’s 2010 "40 Under 40"